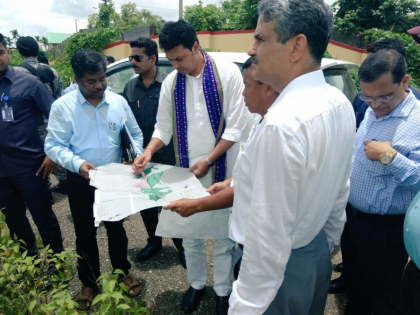 Bodhjungnagar: Tripura Chief Minister Biplab Kumar Deb visited Nripendranagar tea estate area here to set up an All India Institute of Medical Science (AIIMS) hospital. The Chief Minister after visiting the area said that an AIIMS like multispecialty hospital is needed in the state so that the locals do not have to rush to big cities for treatment. “Before election, we had promised to set up AIIMS here and the Centre has agreed for that. I have seen a land in Budhjungnagar area for setting up the hospital. Once the land is allotted to the Centre, Prime Minister Narendra Modi will surely give his consent to set up AIIMS here,” Deb said. The land proposed for the hospital is around 250 acres in area.